MD33 Mothers Day Red Flowers Bouquet. Red Lilies, Red Roses, and Red Alstromerias. Wish Mum Happy Mothers Day with red flowers. 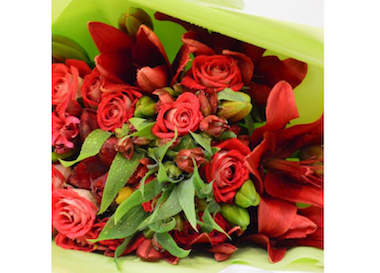 Order Red Flowers Bouquet Now!